The Presidential $1 coin series ran from 2007 through 2016 and honors each of the deceased United States presidents who had served. A president would have had to pass away at least two years prior to his or her being honored in the series, thus Jimmy Carter, George H.W. Bush, Bill Clinton, George W. Bush, and Barack Obama did not qualify for inclusion in this coin program. The series began with George Washington and included a total of four presidents each year through 2015, with the final three issues in 2016 concluding with Ronald Reagan. Unlike the wildly popular 50 State Quarters program, which ended in 2008, the Presidential dollars failed to stir much attention, and it clearly fell short of its overarching goal, which was to help stimulate the widespread circulation of dollar coins. If the Presidential dollar coins made any noise beyond the numismatic realm, perhaps the series squealed the loudest when some people mistakenly believed the coins were ?Godless,? in that the motto ?IN GOD WE TRUST? wasn?t prominently inscribed across the obverse of the coin as had become commonplace in recent decades. In fact, on issues struck in 2007 and 2008, the famous motto is inscribed on the edge of the coin along with the date, mintmark, and inscription ?E PLURIBUS UNUM.? Public pressure forced the government?s hand on the matter, and ?IN GOD WE TRUST? 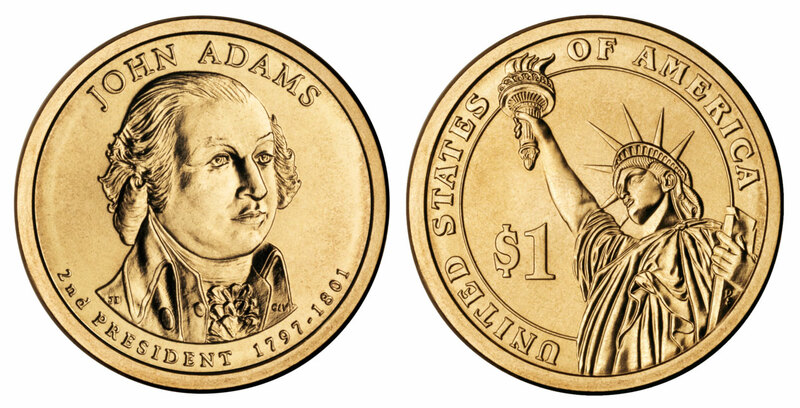 was moved to the obverse of the Presidential $1 coins beginning in 2009. Interestingly, some Presidential $1 coins really are ?Godless? due to an error in which no edge lettering was struck. These valuable errors have fetched hundreds of dollars in the marketplace. Despite the bruhaha over the ?IN GOD WE TRUST? controversy (or, perhaps in some circles, because of the flap) far fewer people were spending Presidential $1 coins than was originally hoped. The U.S. Mint subsequently restricted production of the coins to only numismatic products beginning in 2012. Uncirculated and proof specimens were made for the duration for inclusion in uncirculated sets and proof sets, with some reverse proofs struck for certain limited-edition sets.